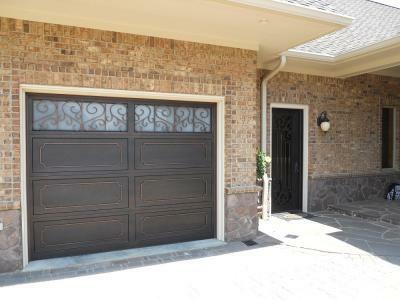 When searching for a quality iron garage door, take into consideration who is building your door and with what. Although anyone can claim to give you the best price and the best door, Signature Iron Doors purpose is to help homeowners everywhere feel confident in their product. It’s no surprise that wrought iron doors are tremendously durable, but what makes them durable isn’t just that they are made of iron, but that they are a complete product. 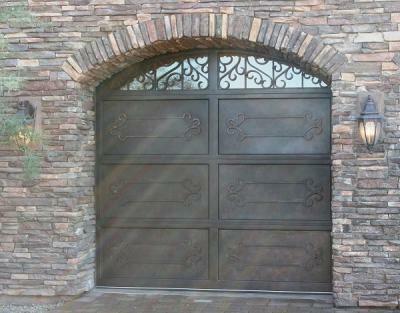 At Signature Iron Doors, each door is hand forged by licensed welders with no putty fillers. Every door is seamless with poly urethane insulation finished with zinc primer and epoxy paint. We believe that quality is in the detail, so we take a personal interest in the production of each product. As the nation’s leader in the iron work industry, maintaining customer satisfaction is crucial to us. Our showroom in Phoenix Arizona is only a few miles south of these homes in Scottsdale Arizona we worked for. Call us and come visit our showroom in Phoenix Arizona to discuss with a sales representative your iron door possibilities.